Several movie stars were seen in festive mood as they celebrated Durga Puja on October 10 at Hotel Tulip Star, in the posh western suburb of Juhu, Mumbai. 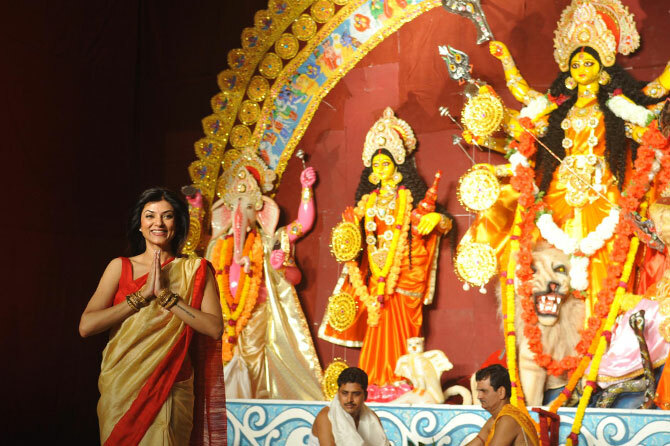 It was organised by the North Bombay Sarbojanin Durga Puja Samity. 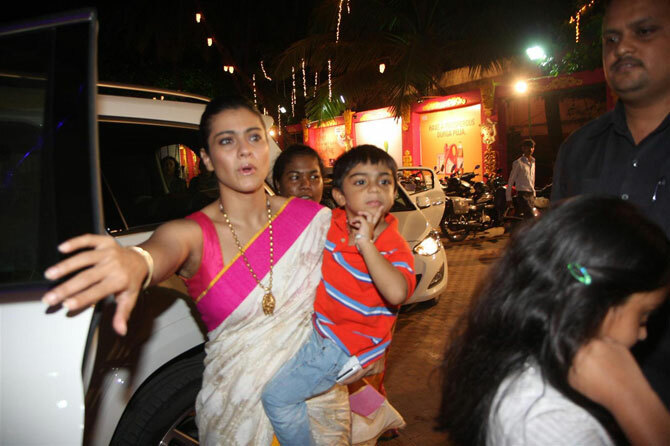 Like always, Kajol looked pretty in a sari at the pooja celebrations. The actress was spotted with her three-year-old son Yug. Sushmita Sen looked very elegant in a golden sari. It is rumoured that the actress is planning to make an acting comeback soon. The actress serves prasad to the devotees at the venue. 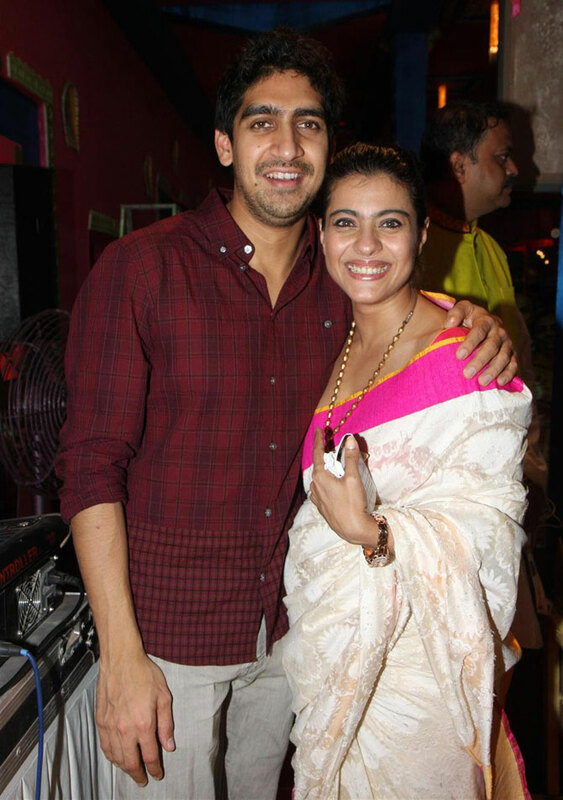 Yeh Jawaani Hai Dewaani director Ayan Mukherji hugs his cousin Kajol. Know who else he's related to? Click here to find out. 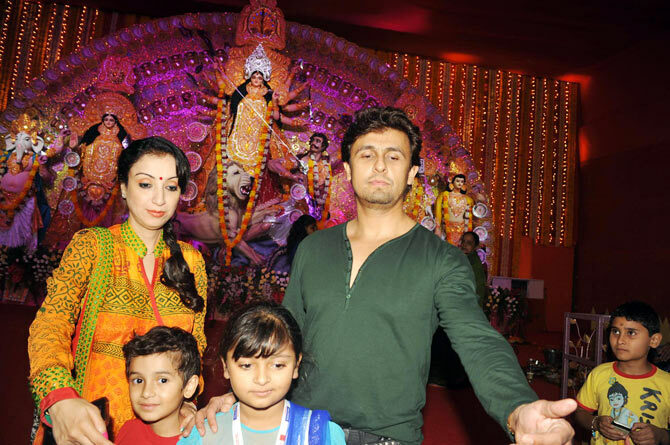 Singer Sonu Nigam was spotted with wife Madhurima and son Neevan. 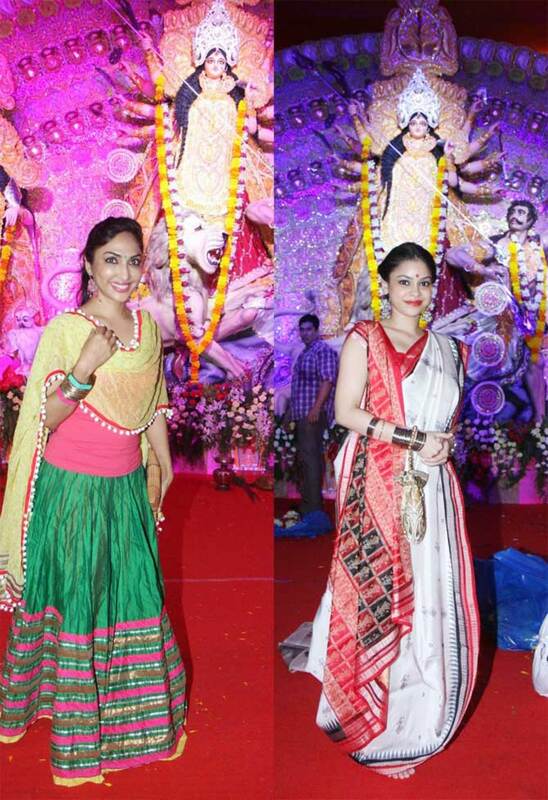 Television actresses Mouli Ganguly and Sumona Chakravarti were also spotted.